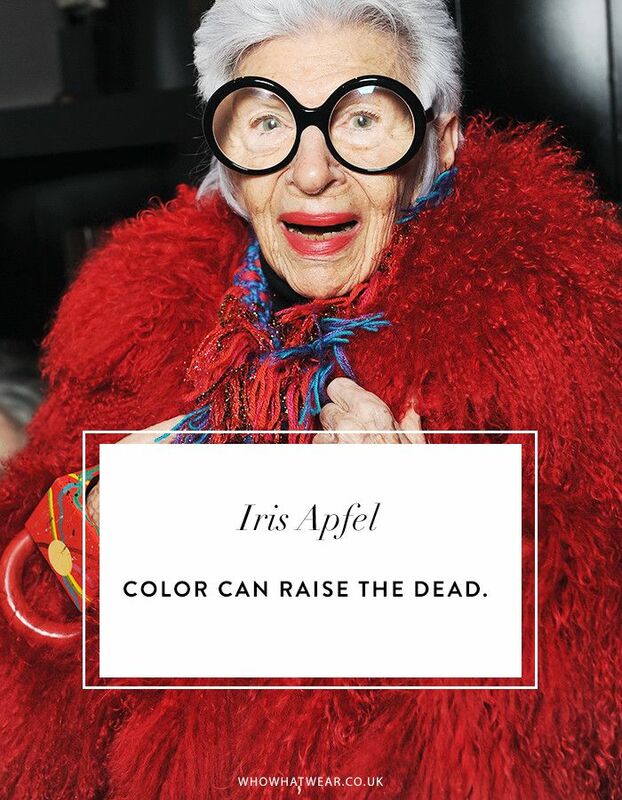 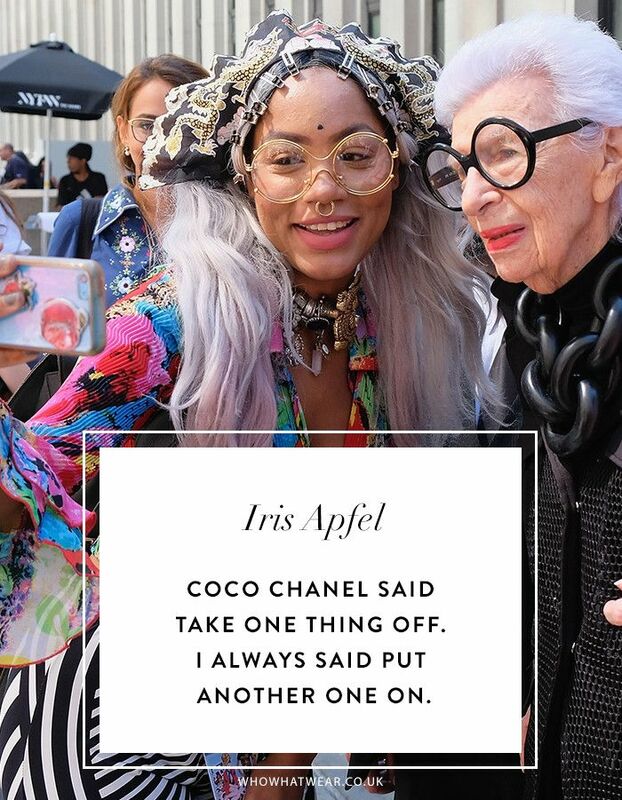 We imagine that almost everything to come out of Iris Apfel’s permanently lipsticked mouth has been indelibly etched into the history books. 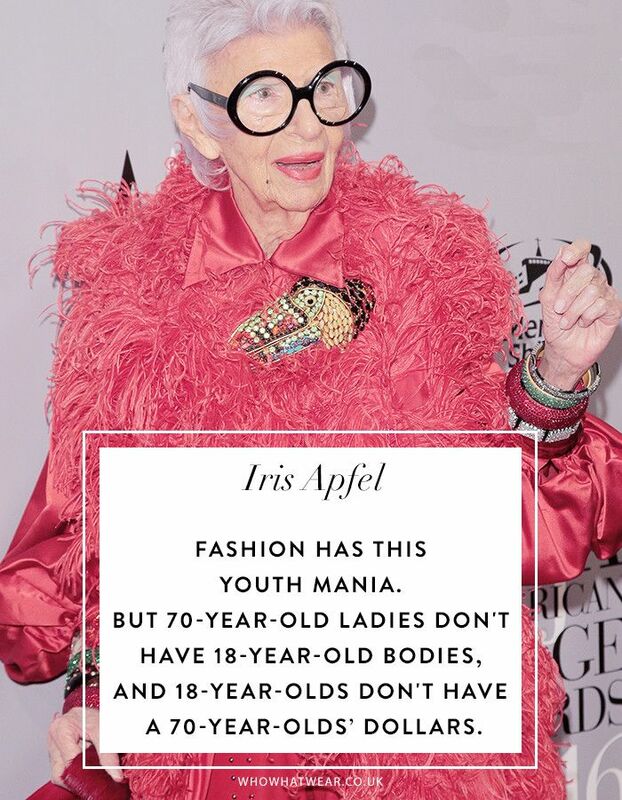 The “geriatric starlet,” as she likes to call herself, has never been one to hold back, and thanks to her brazen attitude, she’s always offering up truly inspirational, relatable messages—about fashion or otherwise. 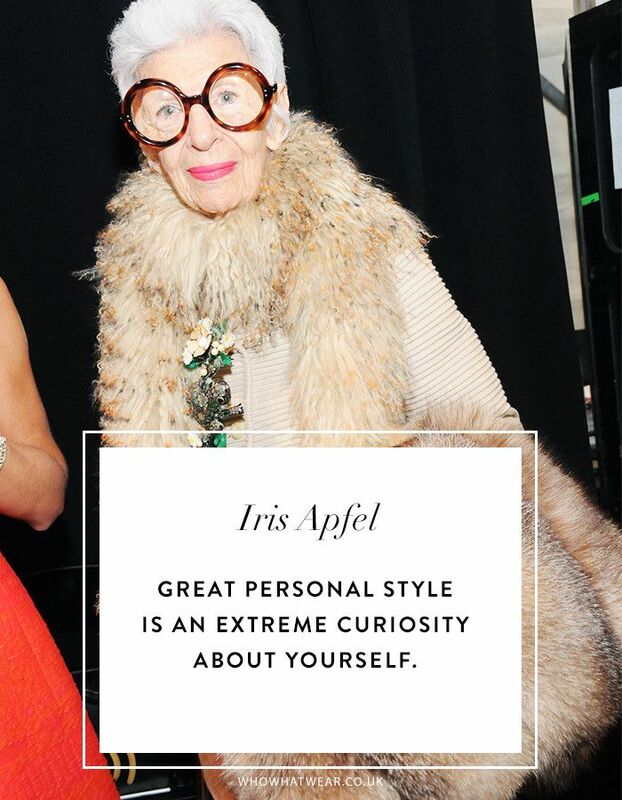 Not only is Apfel’s personal style flamboyant, but her opinions are too—and we personally can’t get enough of them. 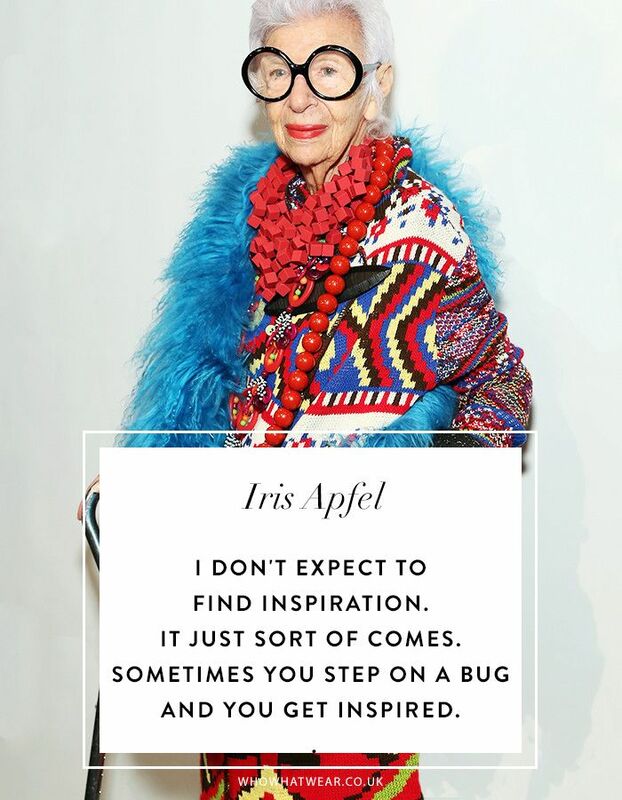 Forget about spiritual leaders or self-help books (although we would recommend the hardback about her, Rare Bird of Fashion), it’s the interior designer/style icon’s musings about happiness that are truly second to none. 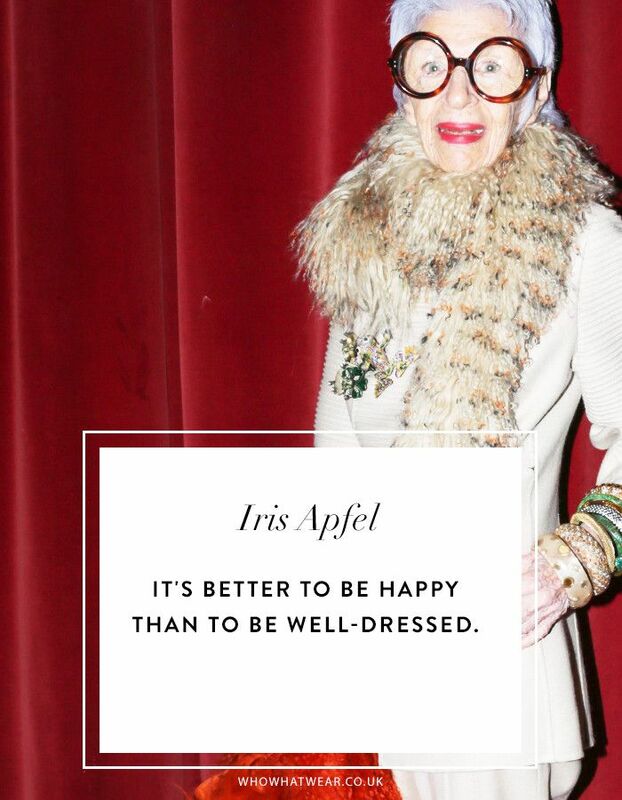 “It’s better to be happy than to be well-dressed,” says our number one fashion guru. 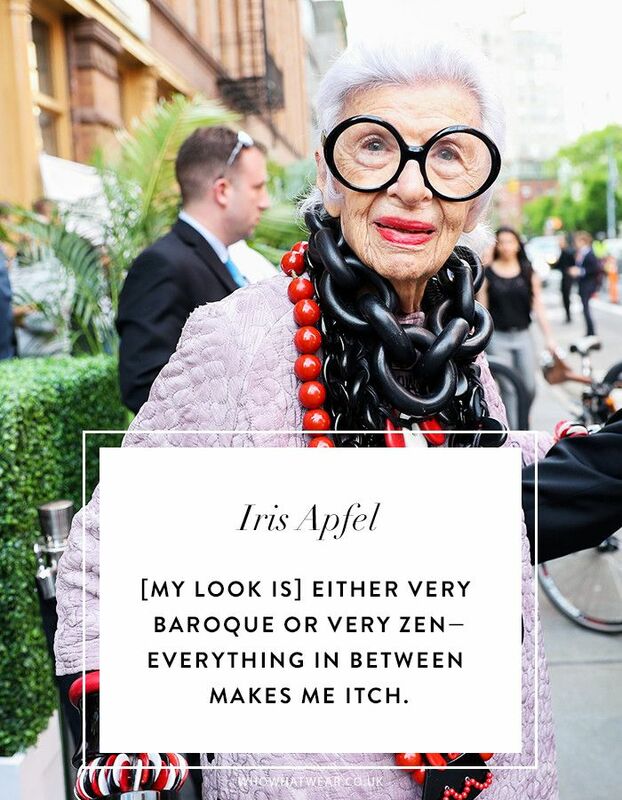 But, of course, being well-dressed is tremendous amounts of fun, if you’re anything like her. 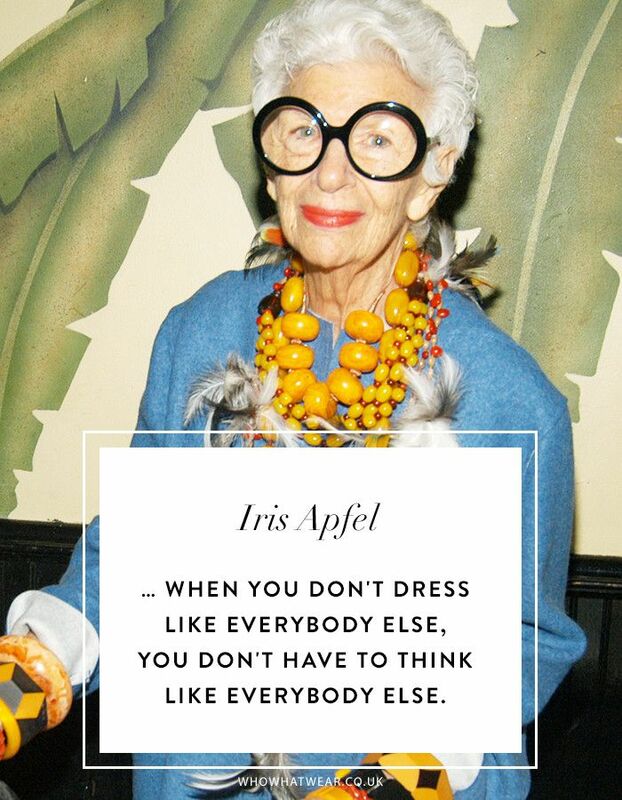 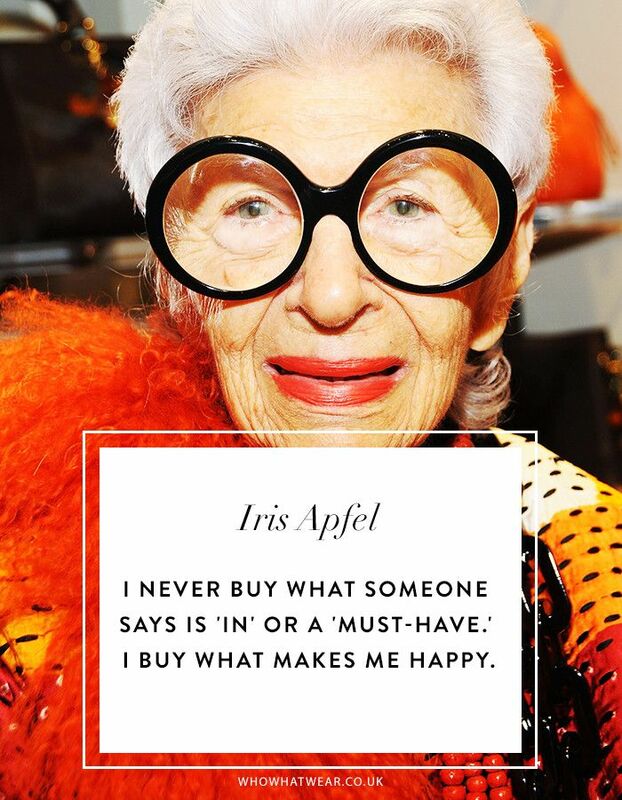 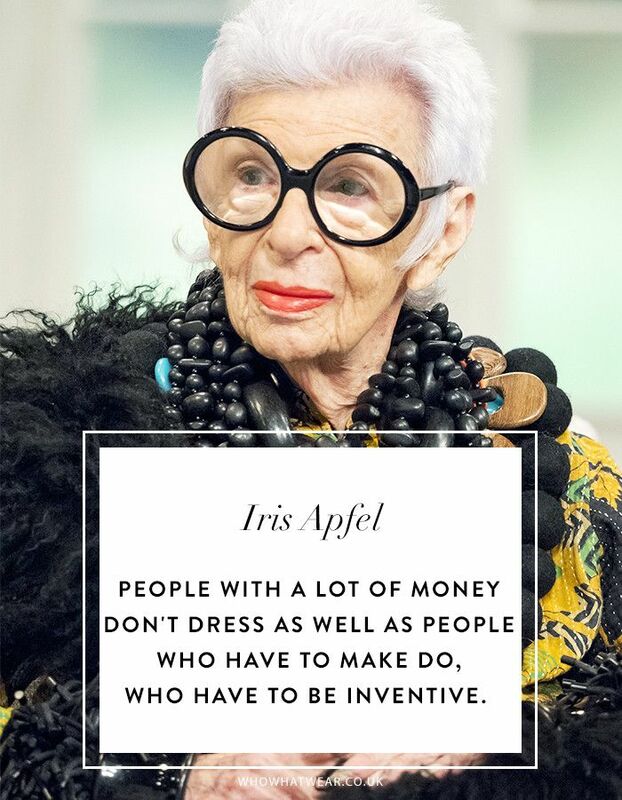 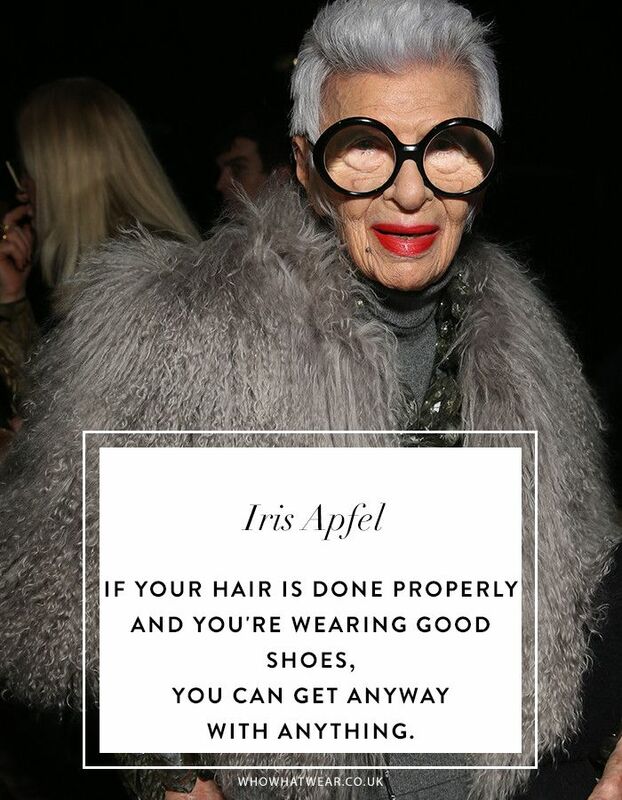 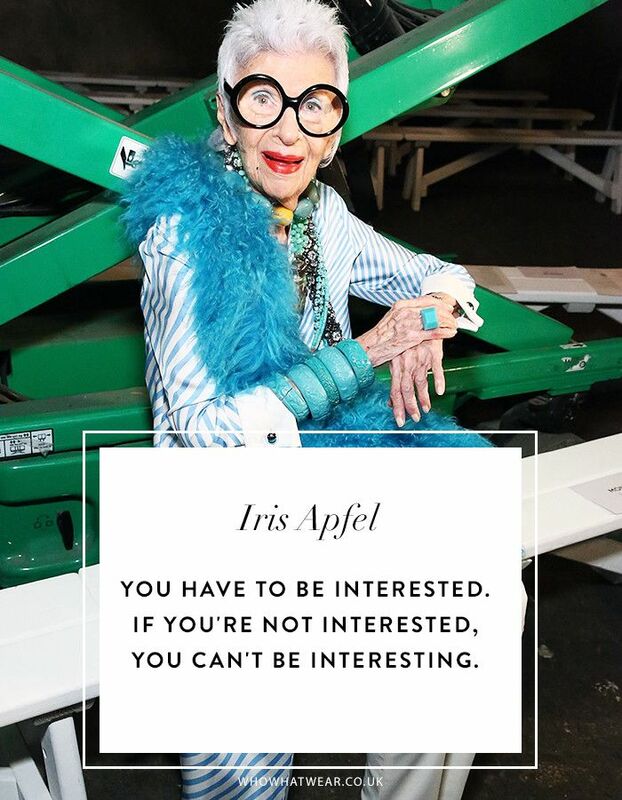 Keep reading to memorise Apfel’s best quotes—and be sure to use a witty one in the next awkward situation you find yourself in.